Hey guys! What's up! Today I will be reviewing another product from Gula Co. 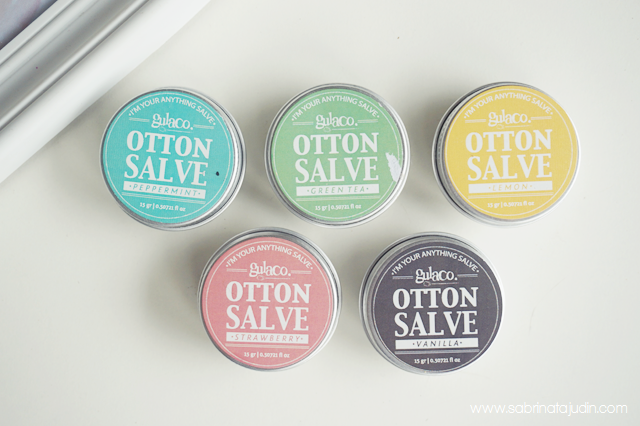 I have review their Lip Scrub , Lip Balm & Body Oil before if you have notice. A quick introduction of Gula Co, its a Indonesia base brand that offers natural ingredient beauty products. What attract mes the most of course, the cute packaging they have. Lovely! 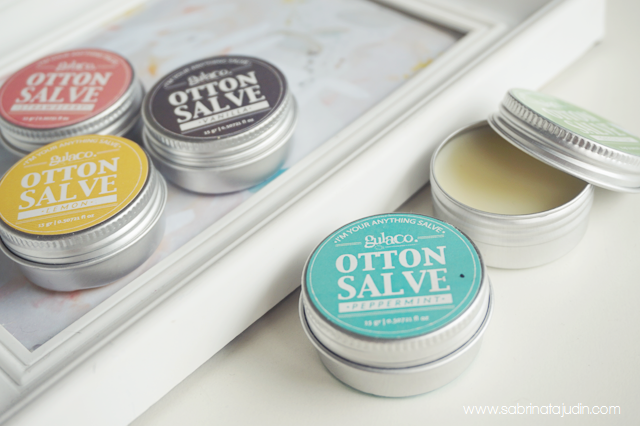 Today I will reviewing their Otton Salve. It took me quite a long time to discover and understand what this thing really is. 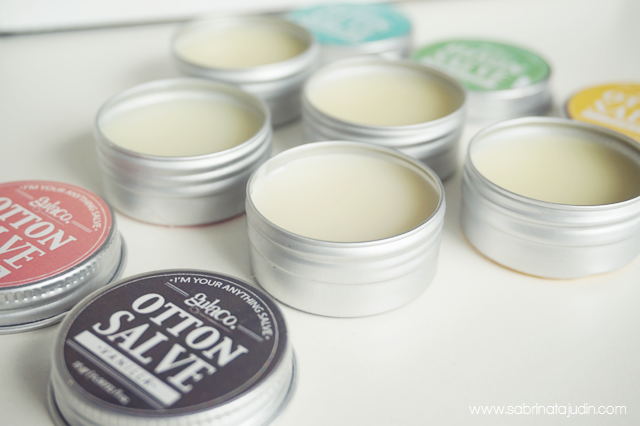 It is actually a multi purpose balm that you can use for your entire body. It came in a small case that is travel friendly so you can use it and bring it whenever you do. It came with 5 different options that you can choose. Peppermint, Green Tea, Lemon, Strawberry & Vanilla. 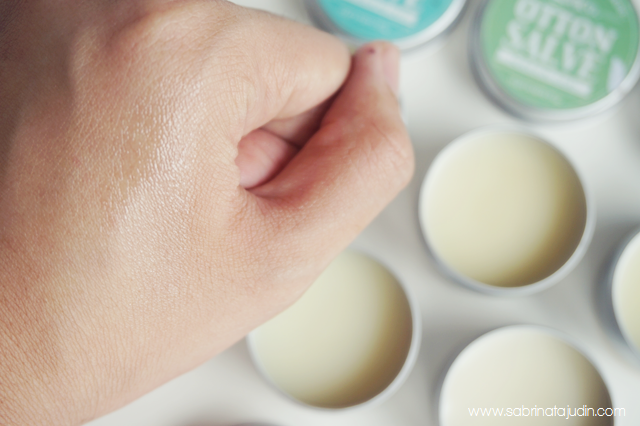 It claims to be a transparent multi function balm that infuse with Rosehip Oil. It is said that this ingredient is great for your skin for moisturizing purposes and also improve skin metabolism. Provides you with skin with essential which is fatty acids, antioxidants, vitamin E, and sterols. All of them have the same texture. The different are only the scent. Peppermint has a scent just like a mild toothpastes, Green Tea has a mild green tea scent that is refreshing, Lemon has a sweet like "gula-gula hacks" scent, Vanilla has a musky play doh scent and my favorite Strawberry as it is, smells like strawberry candy. 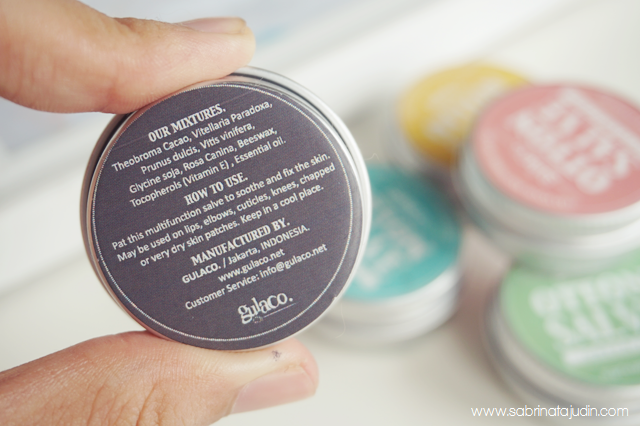 It has a balm-y texture that is colourless. Not greasy of thick. Just nice. As stated above, you can use this anywhere you like like a body balm. I love to use this to prep my cuticles if I wanna give a little manicure to my nails. Also another great discovery, I love to use this to prep my eyebrows! No kidding! I use this to comb my eyebrows before apply powder on top. It holds my eyebrow all day long. I don;t like to use this as a lip balm, I find that it gives me this funny tingling sensation that I find uncomfortable. I also love to use this to moisturize my hand and elbow. If you are interested, check out Lips & Colours IG and check out other products that they offer. Gula Co and many more!